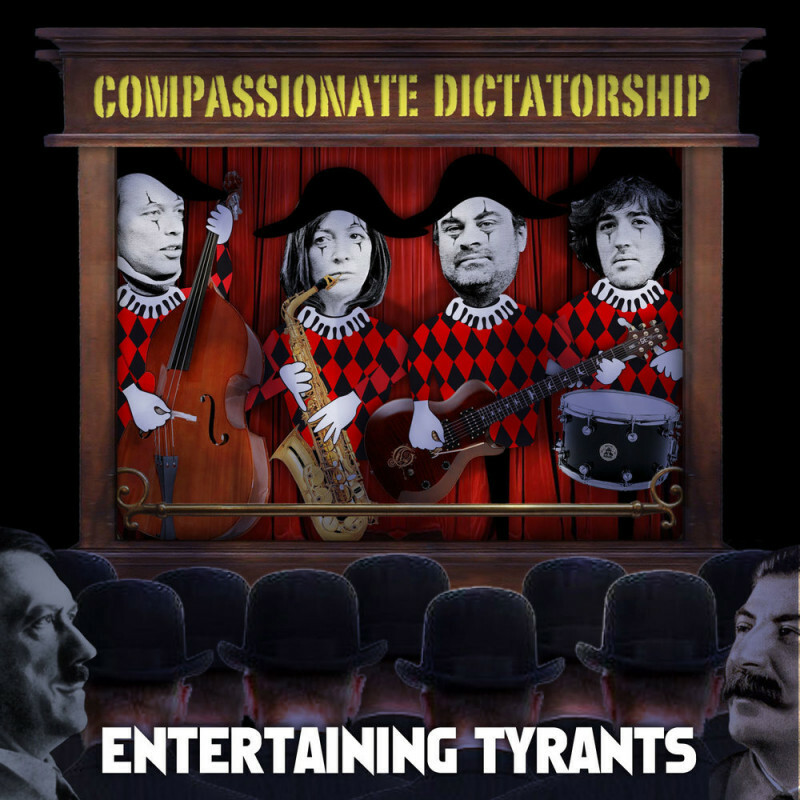 Showcasing the formidable writing talents of co-leaders Jez Franks and Tori Freestone Entertaining Tyrants is the third album from this powerhouse quartet who have been playing together as Compassionate Dictatorship since 2007. This record marks their debut for Jellymould and cements the band as one of the most impressive ensembles on the scene today. Franks and Freestone have been working together since ’93 and Entertaining Tyrants demonstrates a real maturity in their writing. From the edgy opening of “Anger Management” to the chilled out vibes of the final track “Loop” this is a collection of nine extremely well crafted and beautifully played pieces. But this is a band in which all four members have an equal voice. Franks, Freestone, Høiby and Maddren are all well known in the London jazz arena and bring considerable experience to this group – and as a whole they are exhilarating. Tori Freestone who is becoming increasingly in demand for her eloquent, melodic sax playing demonstrates both dexterity and melodic sensitivity on tenor saxophone whilst her co-leader Jez Franks with his characteristic punchy sound and fluent lines shares the front-line work and supports with meaty chordal harmonies. Jasper Høiby is the “bass man-of-the-moment” with his band Phronesis gaining an international reputation and he doesn’t disappoint on this record with dazzling bass lines and melodic interceptions that are becoming his trademark sound. James Maddren’s drums are much more than just a rhythmical base on which the rest of the band is supported, his lines are almost tuneful but when he grooves he really lays it down with a real authority.